This Sunday, July 1, is the 17 Tammuz fast day, on which we refrain from eating and drinking from dawn to nightfall. It also marks the start of a period known as "The Three Weeks." The Fast starts at 4:55 am and ends at 8:52 pm (times local to the Clear Lake Area). The Three Weeks is an annual mourning period that falls out in the summer, when we mourn the destruction of the Holy Temple and the start of our exile. It reaches its climax and concludes with the fast of the 9th of Av, the date when both Holy Temples were set aflame. This is the saddest day of the Jewish calendar, and it is also the date of other tragedies spanning our nation’s history. Observances: There are various mourning-related customs and observances that are followed for the entire three-week period. We do not cut our hair, purchase new clothes, or listen to music. No weddings are held. The fast of 17th Tammuz is observed on Sunday, July 1, 2018. It reaches its climax and concludes with the fast of the 9th of Av ("Tisha B'Av"), the date when both Holy Temples were set aflame. This is the saddest day of the Jewish calendar, and it is also the date of other tragedies spanning our nation’s history. The Fast of Tisha B'Av runs from sunset Saturday night, July 21 until nightfall Sunday, July 22, 2018. 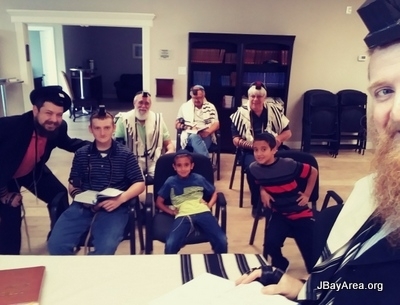 Stay tuned for Chabad Bay programming schedule for the above fast days. 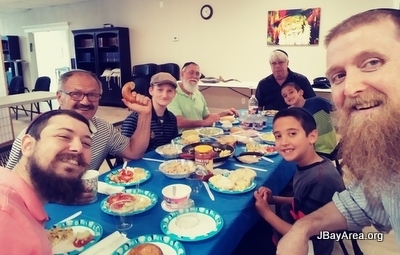 Summer Sundays - a perfect time to come out for a quick Tefillin Wrap and delicious Fresh Breakfast! In honor of the upcoming 24th Yahrtzeit of the Rebbe, Chabad Outreach of Houston, as part of its annual Project Talmud, will be featuring a guest talk by Rabbi Mendel Samuels on the topic of the spiritual role of a Rebbe. The spring JLI course, What Is? concluded this week. Is the World Real? Is Time Real? What Is G-d? Is Evil Real? Is the Self Real? Is Choice Real? These were the questions framing the six lessons in which students delved deep into the mysteries of life. 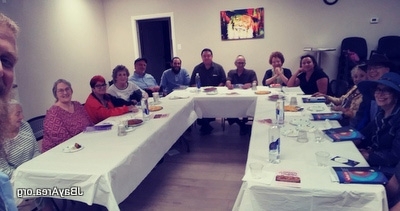 We explored the fascinating perspectives of Kabbalah and Chassidus leading to a greater understanding of G-d, our existence, and how to better actualize our true inner self. For a preview of the next course, Wrestling with Faith, visit www.MyJLI.com.